glow Magazine beauty editor Tania Kwong is a lot like Natalie Portman: she looks insanely beautiful while waiting for her first baby to arrive. I don&apos;t have a photo of Tania to show you today, so Natalie&apos;s red-carpet shot from last night&apos;s SAG awards will have to do. Natalie&apos;s all dolled up in Dior. On her eyes is a beautiful mix of shimmery lavender, plum, copper and chocolate brown (click here for a closer look). 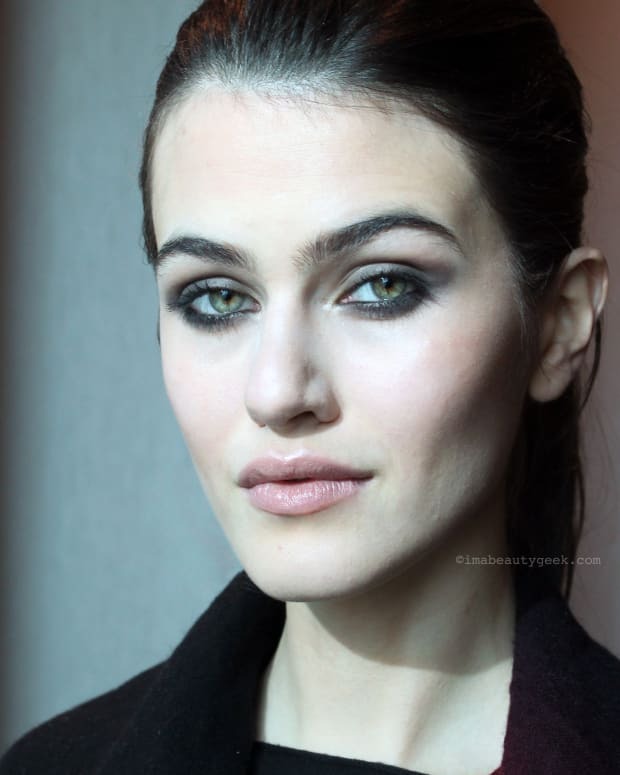 Black liner, false-lash flares and lashings of black mascara add definition. On her lips is pink lipstick topped with peach gloss. One of my favourite features on Natalie&apos;s face is -- are? -- her brows. They&apos;re the very best example of how brows don&apos;t need to be twins, just sisters. Their difference give her face distinct and appealing character. I love â€™em, don&apos;t you? For makeup deets, visit BellaSugar.com. Image borrowed from JustJared of course. Check out the other photos to see her gorgeous, better-than-the-one-she-wore-at-The-Golden-Globes dress.